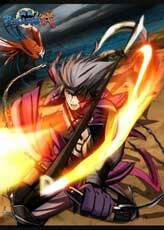 Motochika Chōsokabe is one of the Sengoku Basara game characters and is based on the historical person with the same name which was a daimyo in the Sengoku era. 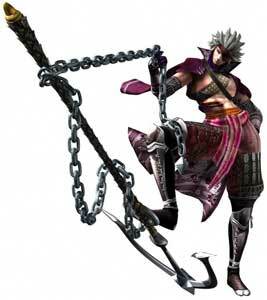 In the game he is portrayed as a pirate and fights with a big Anchor as weapon. 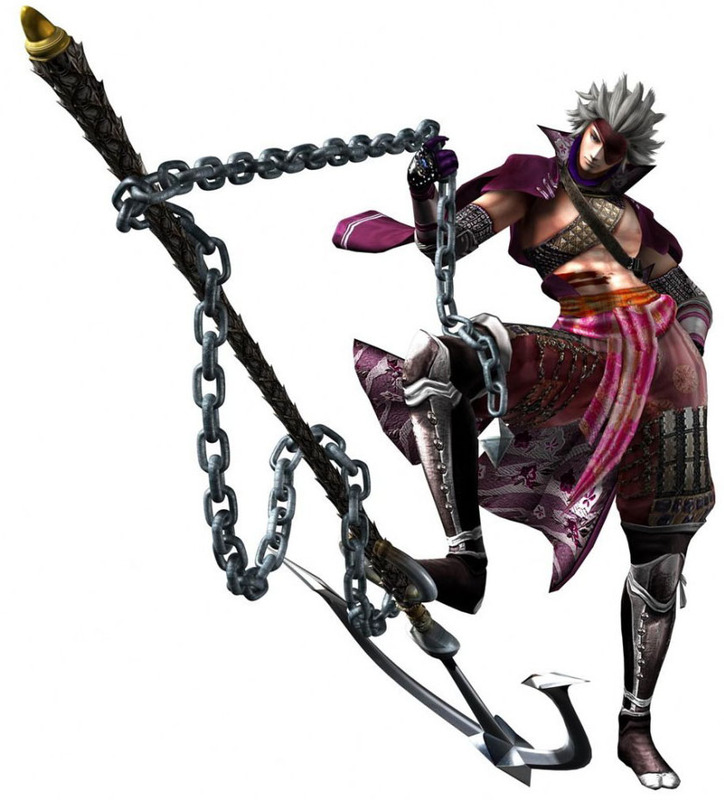 Motochika was not playable in the first Sengoku Basara (2005) but returned as one of the 8 playable protagonists from the start in Sengoku Basara 2. He also returned in the 3rd and 4th sequel where he is an unlockable character and made it into Sengoku Basara X, a fighting game based on the series as well. He has a lot of pretty cool moves in the games, one includes to surf with the big Anchor like it would be a Skateboard. 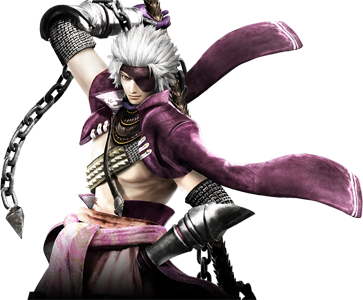 His Samurai Warriors version shares the white hair with him, but beside that, they are very differently designed.